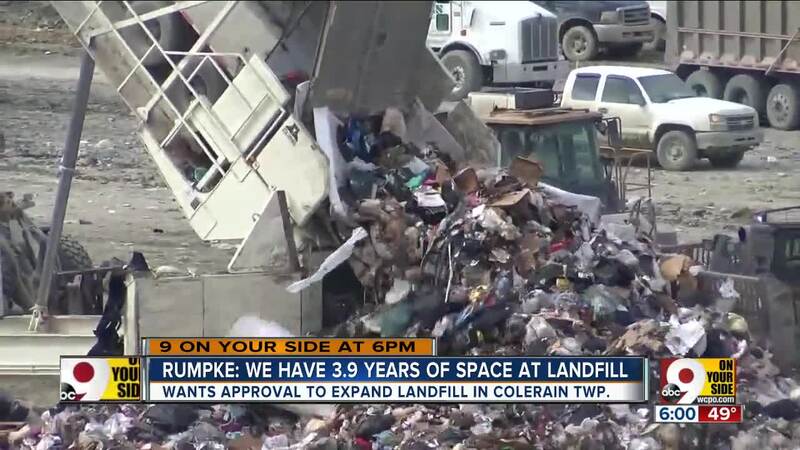 COLERAIN TOWNSHIP, Ohio — Rumpke is running out of room in Colerain Township. 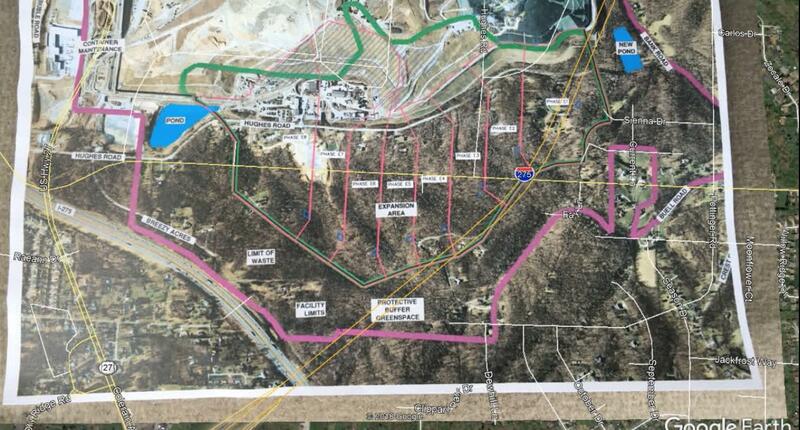 The company has been trying to get a 240-acre addition onto its landfill approved since 2006. The last hurdle will come at an April 2 public hearing before the Ohio Environmental Protection Agency. The landfill services about 2 million residents and 20,000 businesses across the region. Rumpke spokesperson Molly Yeager said time is ticking and space is running out. "Right now, we have 3.9 years of constructed air space left, which means 3.9 years of space left to put trash," she said. "That's not a long time." The land for the proposed expansion in the area of Hughes Road is already owned by Rumpke, including several homes which the company currently rents out. It's been a long fight, with Rumpke first fighting the township over zoning. The company won that, but the township is getting a healthy check of more than $1 million per year, plus fees. If the plan is approved, it will still take years to get everything in place, according to Yeager. "Before we can put trash in there, we have to first install a series of protective liners, and this is why I'm saying we're sort of up against the wire," she said. But first, Rumpke has to convince the public and the Ohio EPA. "It will give us 20-25 years of additional disposal capacity, based on what the region is throwing away," Yeager said. If the expansion plans are denied, Yeager said it will take multiple landfills in multiple states to solve the problem of where local trash will go. So far, no one has submitted a comment about the application to the Ohio EPA, according to Public Records Manager Richard Bouder. But there is still time for people to weigh in on this. The April 2 hearing will be held at 6 p.m. in the community center. Then there's a one-week public comment period before state officials make a decision.